Interested in making your home a bit greener, but don't know where to start? Sure, solar panels, composting, and water-conserving faucets are all incredible, but let's be real — they're pretty intimidating, not to mention expensive. Instead, start small. 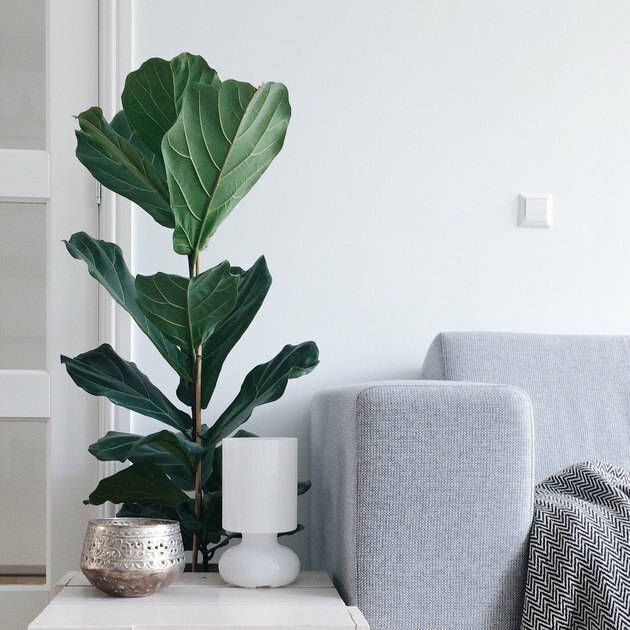 You'd be surprised by the major impact that these nine products can have on making your space a little bit more eco-friendly. Ready to go green? Scroll down to learn more. Swapping out your normal bulbs with LED will extend the life of a light bulb by months, which means less waste. But these color-changing bulbs do one better — they can adjust their brightness and hue throughout day to exert the correct amount light needed. From bright and cheery during breakfast to warm and cozy at night to help get your eyes ready for bed, they've got you covered. Fresh herbs in your home not only give off a delicious smell and keep your foods fresh and tasty, but they'll also help to purify the air and cut down on the plastic and food waste that comes with buying herbs from the store. Have we mentioned purified air is good for you? The areca palm, also known as the butterfly palm, is a budget-friendly option ranked one of the best air purifying plants by Wolverton and NASA after completing a scientific clean air study. Plus, it's nontoxic for pets. Trust us, we love paper towels as much as anyone else. But, when it comes to home waste, these can easily top the list. Luckily, there's an alternative that won't change the way you clean, wipe, and dry. Made out of bamboo, these are more durable and more absorbent than regular paper towels, machine washable, and reusable up to 120 times before discarding — meaning one roll replaces 60 conventional paper towel rolls. With a three-function sprayer, you can subtly conserve water without sacrificing performance. Sustainable bamboo FTW again! Not only is the material green, but skipping the dryer more often will also cut down on your energy use and keep your jeans in tiptop shape. If you think chemicals are the only way to get things clean, think again. Not only does this all-natural cleaner avoid toxic ingredients while seriously scrubbing away dirt and grime, but the scent is also amazing. Who else uses way too much plastic? Between plastic bags and food storage, it's become somewhat of a crutch. Well, 2019 is the year to get green (or blue or purple). These reusable food wraps are completely pliable so you can cover dishes, ball up veggies, and securely wrap avocados without feeling wasteful.